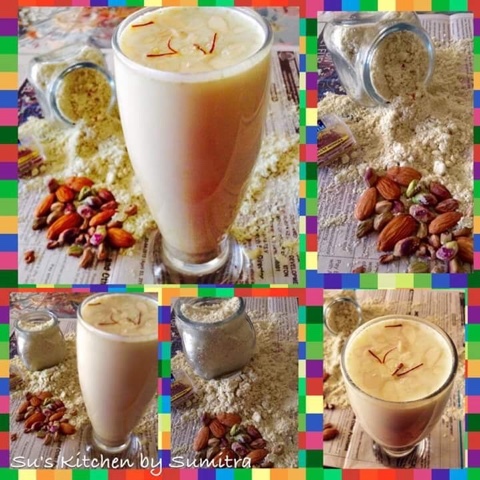 Thandai is a refreshing drink made on Holi. Grind all the ingredients together and store in an airtight container. Mix 2 to 3 tbsp of Thandai powder in one glass of chilled milk and add sugar according to the sweetness required. Mix it and garnish it with Almond flakes and few strands of Saffron. Let it stand for sometime for the taste to enhance. Serve it chilled.